My children and I LOVE this dish. Quite frankly, it is the only way I have been able to get them to eat their peas! This is perfect for the warmer weather. You can serve it on rice pasta, wheat pasta, rice, or on top of spaghetti squash. One of the best parts – it only takes minutes to make! 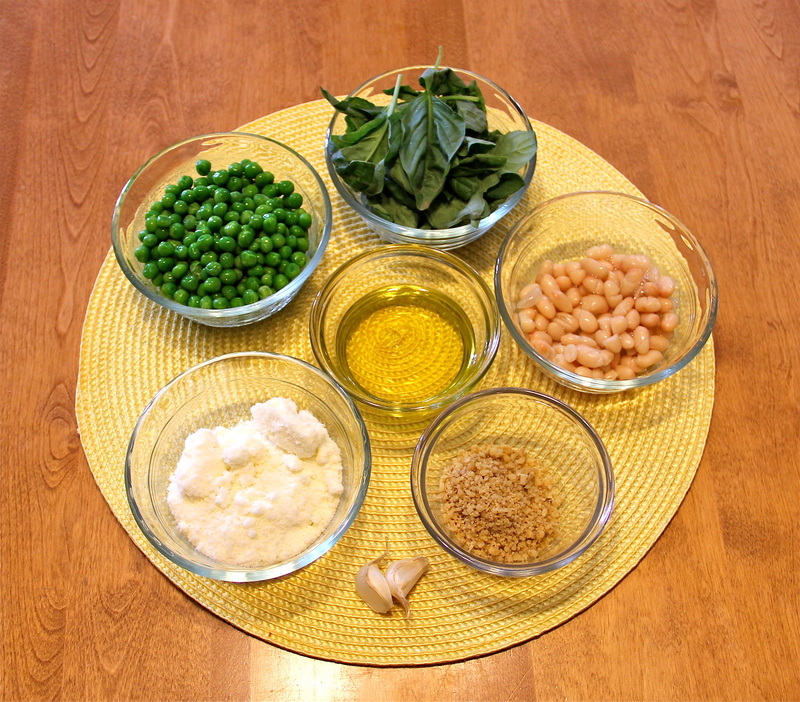 The seven ingredients you’ll need: 1 to 2 cloves of garlic, 1/2 cup fresh basil leaves, 1/4 cup ground walnuts, 1/4 cup extra virgin olive oil, 1/2 cup grated Pecorino Romano cheese, 1/2 cup Great Northern or any type of white bean and 1 to 1 1/2 cups of fresh or thawed frozen peas. *Update: I now add kale to the dish as well, and my kids love it just as much as the original version. 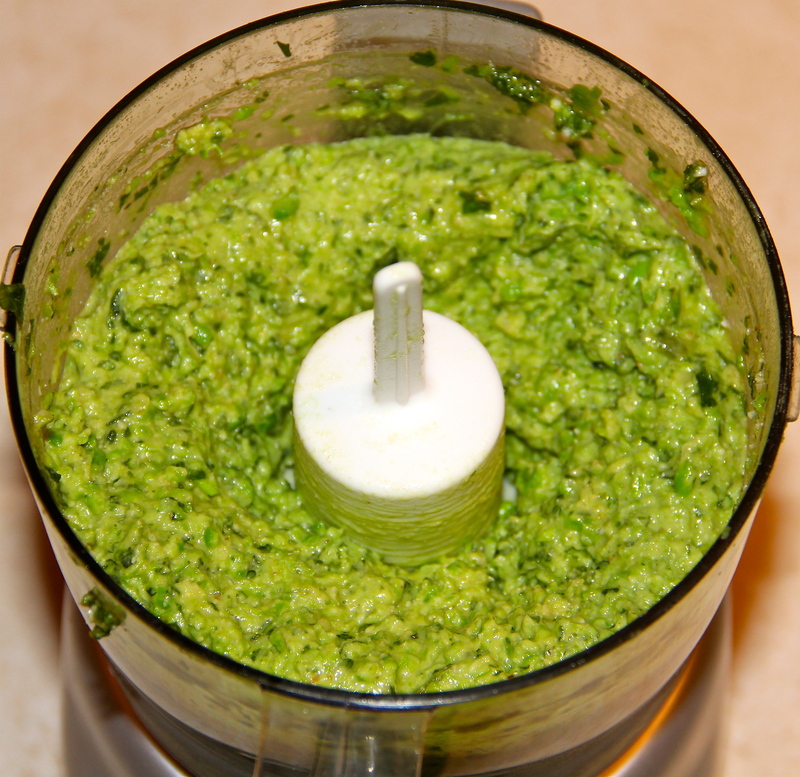 In your food processor, mix together the garlic, basil and walnuts. Add the olive oil and grated cheese and mix until your pesto is the right consistency (when it’s all blended together as one uniform ‘sauce,’ it’s done). Next, add the beans and blend; when thoroughly mixed, add the peas. You may choose to add salt and pepper to taste. If you feel it is too thick, you can add water. That’s it – your ‘sauce’ is done! Now just stir it into or pour it on top of whatever it is you are serving it with! In the photograph below I serve it mixed into rice pasta and garnished with basil and shaved Pecorino Romano cheese. I’m excited about this. 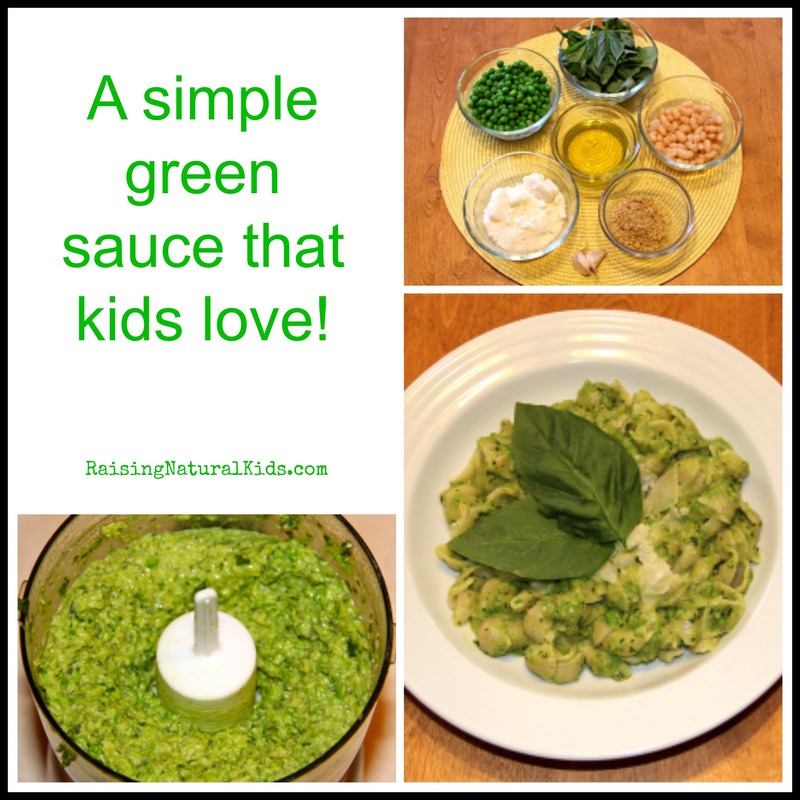 A few of my kids are not huge pea fans but they love sauces so I bet this will be a hit 🙂 Thanks! 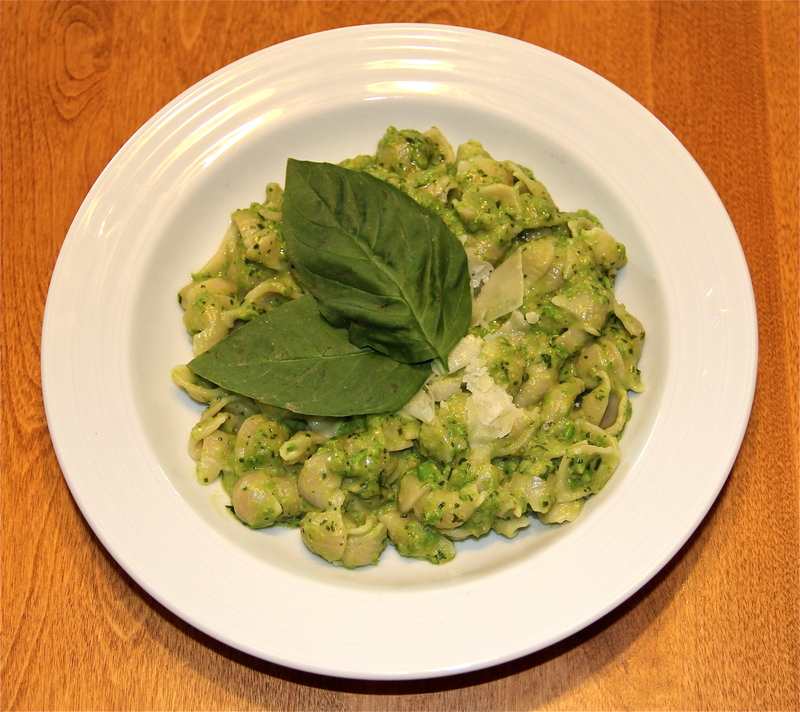 Love this idea, a marriage of pesto and hummus – with a pea twist. Can’t wait to give it a try; I bet it’s delicious on ravioli!